NEW for 2013 - REINFORCED & STRENGTHENED patent pending nozzle. 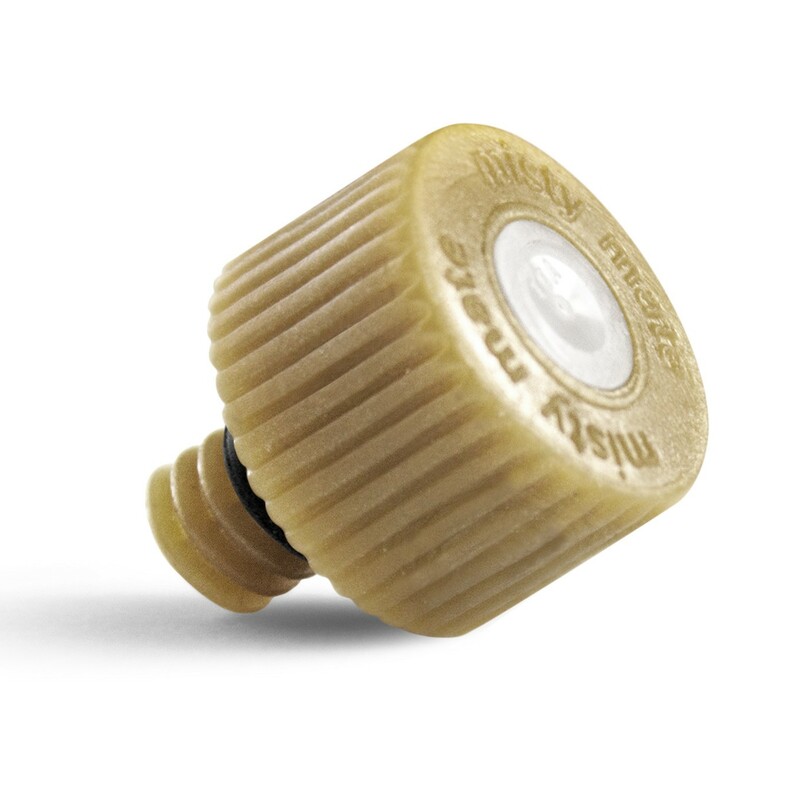 MistyMate MicroMist Technology Nozzles are a unique alternative to the commonly used Brass misting nozzles. They create a very fine mist when pressurized water runs through them, and are resistant to rust and calcium deposits, thus requiring less maintenance than brass nozzles. • Low Flow Rate (.0125 GPM). • Compatible with all Misty Mate Patio Misting Systems as well as the newest versions of the Misty 10 & 16 Classic Personal Misters and 24 Deluxe. Note: These nozzles are NOT compatible with the Pro Line Personal Misters. Contact customer service with any compatibility questions. These nozzles are NOT to be used in conjunction with a Booster Pump. They are designed for use with standard Household Water Pressure only (60-80PSI).